I’m personally one of those who’ve been eagerly waiting for the announcement on the EcoCash debit card status… ey not because I wanted to write about it (c’mon not everything is about you); but sadly because it’s the only card I have that could make international payments. But guess what? I can bet you a million dollars that I’m not the only one (completely figural speech!). Early this evening, we received an SMS notification telling us that EcoCash will continue to suspend the international payments option (don’t worry if you haven’t received it, it’s coming). Remember how after the suspension they (EcoCash) had initially proposed that starting from the 1st of November 2017, the international payments will be back on but on condition that you prefund your account with USD? Well, things didn’t turn out as expected and as a result the suspension continues. On the 11th of October 2017, we advised the suspension of international transactions using the EcoCash Debit Card. We further informed that the Debit Card would need to be prefunded from the 1st of November 2017. We would like to inform you that the prefunding requirement has been deferred indefinitely and the use of the card for international transactions remains suspended until further notice. However we are happy to inform you that your debit card remains valid for use in Zimbabwe. Am I the only who expected some sort of apology to fit into that message in one way or the other? Or I’m just expecting too much? Anyway that aside, I’m a bit uneasy when I see words like ‘indefinitely’ and ‘until further notice’. To me that often just translates to a ‘never’ or a ‘forget it’. But then again, this is EcoCash we are talking about and I won’t bother hiding the high expectations I have for it – yes even in this forex crisis. So hopefully, it’s just them avoiding to mention dates just in case things turn out like they did today otherwise something is indeed in the pipeline. What now in the meantime? In the meantime you could find other alternatives of making online payments, here’s a good place to start. 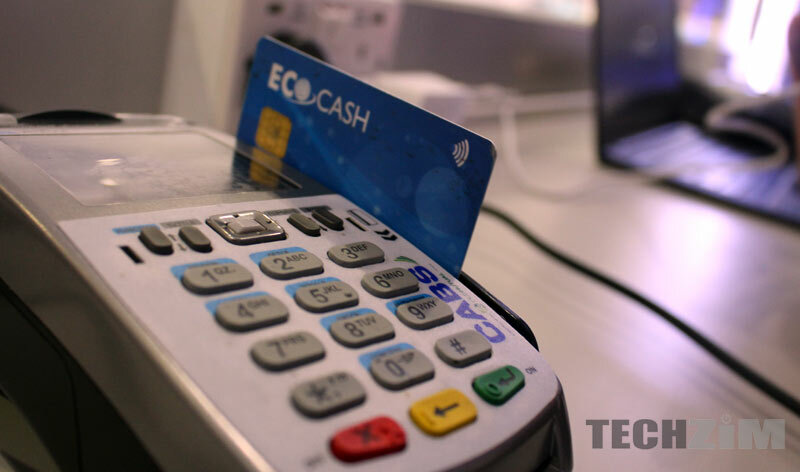 Besides that, I’m not too sure if using the EcoCash debit card for local transactions is a good idea, ZimSwitch cards might be the way to go in terms of transactional charges. But, that’s just a hypothesis I’d need to prove using actual figures, and I will…soon. They should just have a simple zimswitch card like everybodyelse, wat ever happened to the ecocash Ta service. I think we are missing the bigger picture in this situation. Steward Bank has a working Visa card. Along with Stanbic, Cabs, and the other banks. These banks can transact on the international scene. They can back their transfers and your money. Eco-cash is a local entity, not a true commercial bank.The magic figures in our eco-cash figures can’t be backed internationaly. These are just balances in the air. Eco-cash is not at fault, the system it is operating in is. I have not been able to use my Ecocash card in Zim for a few days now…. Have been told a tech hitch!!! Happens far to often in Zim now.